Taking care of parents is a responsibility that needs to be catered to with utmost sincerity. But the process gets hindered a bit due to the career options available to the younger generation. The corporate lifestyle encourages one to be a workaholic and the focus of one’s life becomes more professional than personal. Elderly people need special care during the course of their day-to-day work. This is why you should arrange for specialized help. This would ensure that your parents get the comfort that they deserve. The demographics reflect that the number of elderly people is increasing and this calls for a support system to accommodate them. The industry is coming up slowly but steadily with the increased demand for resort-based residency. These homes are specialized with all kinds of facilities that the elderly people would definitely need. For instance, all the entrances have ramps that allow the personal attendants to push up the wheelchairs easily. The industry has understood the needs of the elderly people and has arranged for 24/7 assistance that would entitle the residents to use the exclusive transport system and all our staffs are certified in aged care courses. The elderly might feel the need to socialize because this is the age when they tend to get lonely in the absence of the near and dear ones. To solve this, the structure of the resort has been made in a strategic way. The residents are encouraged to have their lunch and dinner in the community hall. This is a great way to acquaint them to one another. Apart from this, elderly people can also watch the TV together at the lounge and have their discussions over tea. This would help in a significant way to ward off their feeling of loneliness. To rid the elderly people of the static life they are having, there are pool clubs and exercise groups that promote a healthy and hygienic life. The energy consumption of the buildings can be regulated regularly. Since it is now the responsibility of the resort authorities, the energy efficiency of these buildings would be flawless. This would be further facilitated by the competition that these housing estates would face. To remain on top, each would try to have the best structure, which would, in the long term, benefit the elderly residents. Although the residents have to pay a bit more for this purpose at the beginning of the process, they will soon be repaid with benefits once the reduced energy consumption and overall costs comply with the law. The integrated IT development would mean that the elderly people can be taken care of in a better way and the importance of certificate IV in aged care can be witnessed as well. All the information about them, including medical conditions, can be digitally stored. This would mean that medical help can be sought immediately. a) The marketability of the housing estate has increased considerably. This has renewed the interest of the builders towards specialized estates. Thus, taking care of the elders has become a lot easier than it was before. b) The staff needed for elderly people can be retained for a longer time because they are assigned rooms for lodging in the same estate. This makes sure that there are no absentees. This also increases the sense of responsibility among the employees which ultimately works towards a better quality of service. c) The quality of service is improved because the humanitarian qualities are nurtured among the employees. There are times when they have to help the residents to do jobs that they cannot do without assistance. This also helps in the overall growth of the employees. d) The profit is significantly more than that in the normal residential estates. This is because there are a lot of government schemes that aid the construction of more resorts if a particular builder conforms to the laws laid down by the government. e) The ecology is maintained in a better way because the building agencies try to conform to the government rules that ensure energy conservation. 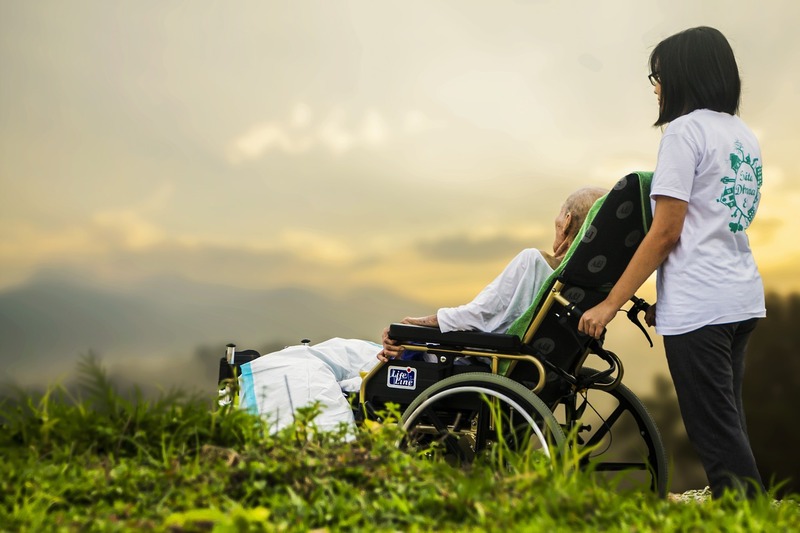 The quality of life provided to the elderly people is also scrutinized on a regular basis and that is where the importance of certificate iii in aged care lies. This makes sure that the authorities do not focus on money-making but take good care of the senior citizens who deserve the best quality of care in return for the services that they have done to the country over the years.